Nancy McHugh, professor of philosophy at Wittenberg University, teaches philosophy in prisons as part of the Inside-Out Prison Exchange Program. These classes are held in prison and have 15 regularly enrolled undergraduates (“outside” students) in them and 15 students who are inmates (“inside” students). McHugh recently co-authored a paper with a group that included some of her incarcerated students. In a very interesting interview with her by Derek Bowan at Free Range Philosophers she describes the process of writing the paper, “An Epistemology of Incarceration: Constructing Knowing on the Inside,” which appears in Philosophia (Winter 2016). The paper begins—as academic papers often do—by situating itself within an existing academic literature, and it makes use of terminology and categories that will be familiar to academics conversant in that literature. But those same features make it less accessible to a lay audience—or even to academics working in other disciplines/specialties. The language in “An Epistemology of Incarceration: Constructing Knowing On the Inside” is very academic. We were intentional about that choice. 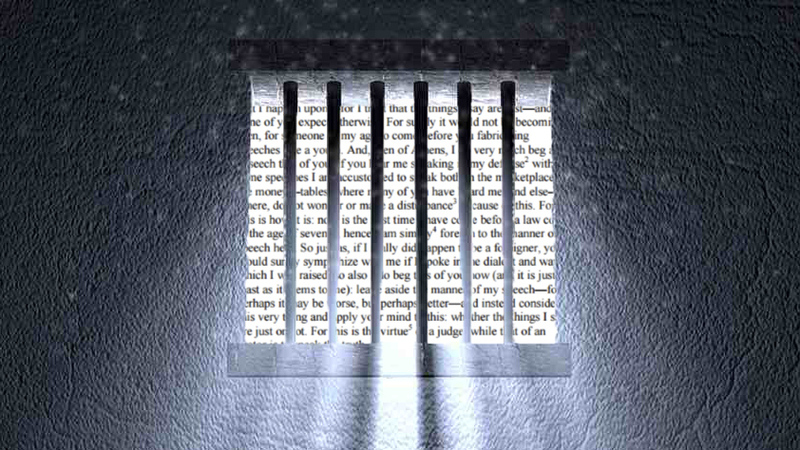 First, many of the inside students found that when they were reading material in epistemology of ignorance and epistemic injustice that it provided a powerful explanatory platform for them to reshape on their own terms to explain their experiences of injustice in the carceral system and in society. Second, many of my students have expressed concern with the view that academic language is inaccessible to people who are not academics or not philosophers. They clearly understand that the language can be alienating to some people, but they also find that the assumption that it takes a college degree, an advanced degree or even a degree in philosophy to be able to understand and utilize the insights from these arguments is a failure to recognize the cognitive resources of people who are incarcerated or people who work for justice in the carceral system. In other words, just as there might be a type of academic snobbery in writing in a certain type of way, there is also a type of academic snobbery in assuming that only academics can understand and utilize academic language. Third, we intentionally intermixed many specific examples into the paper to make the concepts clearer and more applicable to a broader audience. Hopefully we were able to find the balance that we were trying to achieve. The students were able to appreciate that the careful approach and specialized language of philosophy were of use to them in understanding and explaining their own views, and didn’t believe that they needed to oversimplify things in order to render their ideas more accessible. One of the challenges of undergraduate teaching is getting the students to see the value in some of philosophy’s techniques and in “speaking our language.” Good for Professor McHugh for being able to accomplish this in such an unconventional educational setting. The whole interview is interesting throughout.